Well done to Khloe! 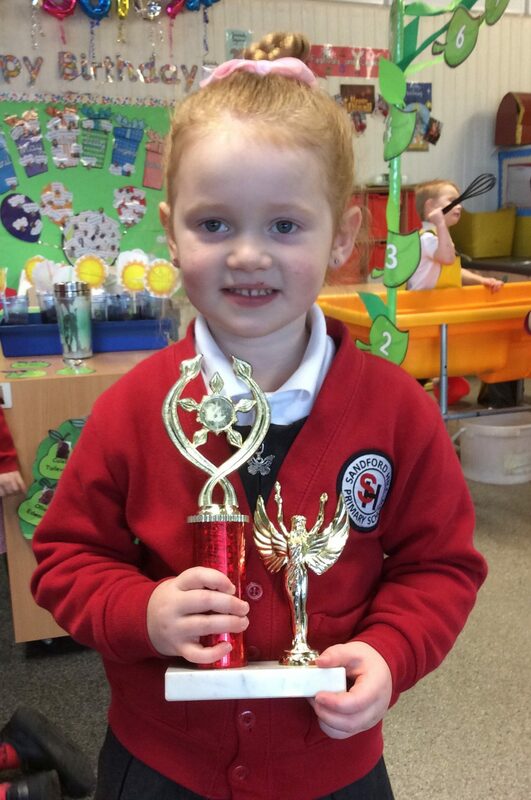 She was the very proud recipient of this fantastic troupe trophy and was so excited to show her friends this morning. This entry was posted in EYFS and tagged Celebrations on May 3, 2018 by Sandford Hill. Well done indeed Khloe. You should be very proud of winning this trophy. It looks great!